Do you know that you can make fortune in life through internet marketing? If you have been thinking about how blogging can enable you to make a fortune in life then you are the right place. John Chow is among the most popular figures when it comes to internet marketing. 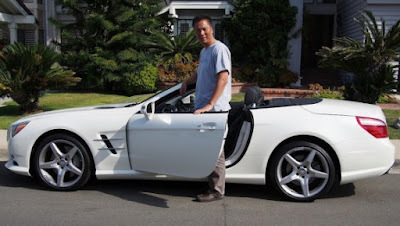 Chow rose to fame after showing how you can create wealth through internet marketing when he took his blog from generating zero to over $ 40000 monthly. His blog is among the biggest blogs all over the internet. The blog has over 200,000 followers and daily active readers. Furthermore, he is also the founder as well as CEO of the marketing group TTZ media. TTZ is an advertising network that offers shopping banners to its various affiliate sites. John has written a number of books and has featured in various publications such as Entrepreneur magazine, New York Times and The Vancouver sun among others. In 2012, John Chow won the Affiliate Marketing awards for creating the best Affiliate Marketing blog. How does John Chow make money? Affiliate marketing is a great source of income for John Chow. The millionaire concentrated on this technique because it was among the sources that agreed with his principles and at the same time, no one could control it other than himself. The affiliate marketer has been very successful in coming up with a list of his target users. He ensures that he makes high sales by offering cool bonuses that have attracted many people to work with him. John made millions from this method immensely to the point that Google banned him. In the month of June 2007, John pocketed about $ 3800 simply writing and publishing reviews of different products on his blog. This review service helps in matching various advertisers with people who are willing to work as publishers thereby building a buzz in the products, sites as well as services. Sponsored reviews then there is a lot that you are missing. However, the marketer no concentrates on this technique because most of the sponsored reviews remain unpublished. This does not mean he does not accept such posts since he has mentioned some about it on his blog. Although this sounds new to a number of people, it is among the leading ways to generate income just like John chow. In other words, serves as a licensee for different products. How does licensing generate income? The license makes Chow more eligible to benefit from more commission rates than other internet marketers do. The rights that accompany this license gives him more commission when compared to the regular percentage one gets for back end sales. With this higher commissions originating from the front end and back end making more money is no longer a dream for John chow anymore. Affiliate marketing tends to reach a point of saturation for anyone who does not think of implementing different techniques. John has created a number of products such as Work from NO home that did very well on ClickBank market place. Text ad links is among the most consistent ways used by John chow in making money from blogging. TLA offers various webmasters and bloggers with the opportunity of selling links not only on their sites but also on their RSS feed and blog posts. In the month of July 2007, John made $ 2000 from the sale of text links. If you do not find that amount of money impressive then you can use the Text links Ads to generate more money from any of the abandoned websites or blogs. In simple words, if you have not registered with TLA then probably you are not making as much money as other leading bloggers across the world are doing. Note : TLA is now closed and acquired by matomymedia. Text link ads program is slightly different from text link ads. Unlike text ad links, TLA program pays bloggers and webmasters for referring publishers as well as advertisers To add to the $ 2000m he made during the month of July 2007 from the Text ad links, John also made 4 2175 from selling text link ads programs. From that information, it is clear that when you agree to sell links then you will automatically enter into the text link ads program.. One thing that makes it great is the fact that TLA makes the process of referring different people to them to be very easy. Signing up is free and there is a bonus of $ 100 in terms of free links for any new advertiser. Making money blogging is no longer a dream because you can turn it into a reality just like John chow did. Some of the best ways to make money through blogging is affiliate marketing, text link ads, text ads programs, creation and marketing of your products among other techniques. John chow has always been my inspiration whether blogging or making money with my blog so when he launched his first blogging course called "Blogging with john chow" i bought it and it was really helpful and must recommended to anyone looking to make money with blogging.The program by John Chow features nine modules. To begin with, Chow Talks about the process of selecting your niche as well as tips on how to brand your blog. He also teaches about word press, plug-in, WP themes as well as how to get started. Although the program looks confusing at the start, with time you will find it as the easiest. The author also outlines seven habits you need to adopt to be a successful blogger and ways of coming up with the best content for ranking purposes as well as how you can encourage interaction on your blog. At some point, he talks about basics of email marketing that are mandatory for everyone who wants to have a successful career in blogging among other things that you will find once you decide to buy the program.